INDUSTRY.co.id - Jakarta, Most of the national textile and textile products industry (TPT) until now still use old machine tools. It was delivered by the Director General of Chemical, Textile and Multifarious Industries (IKTA) of the Ministry of Industry Achmad Sigit Dwiwahjono in Jakarta (19/2/2018). According Sigit, until now there are many factories that use TPT old machines. This is due to the lack of incentives to revitalize machinery in the textile industry. 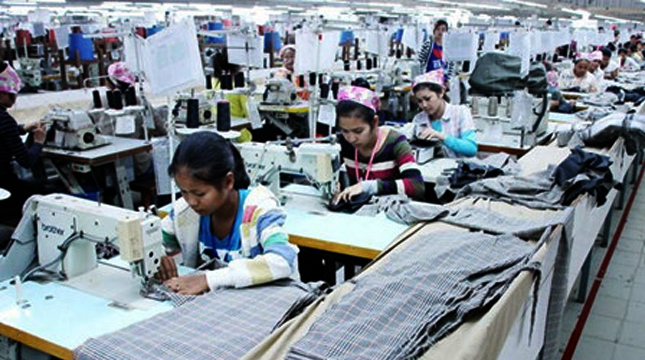 "We will propose for additional incentives related to the revitalization of machinery in the textile industry," said Sigit. Sigit hopes that this incentive can boost the spirit of TPT industry players to improve their competitiveness. "In the future, I hope this incentive can run well, because it has long revitalization TPT industrial machinery is not running," he explained. Furthermore, Sigit asserted, revitalization of machinery in TPT industry must be done immediately. Given the declining competitiveness of national textile industry due to the onslaught of imported products. "This should be done immediately, we need US $ 400 billion per year for its revitalization," said Sigit.